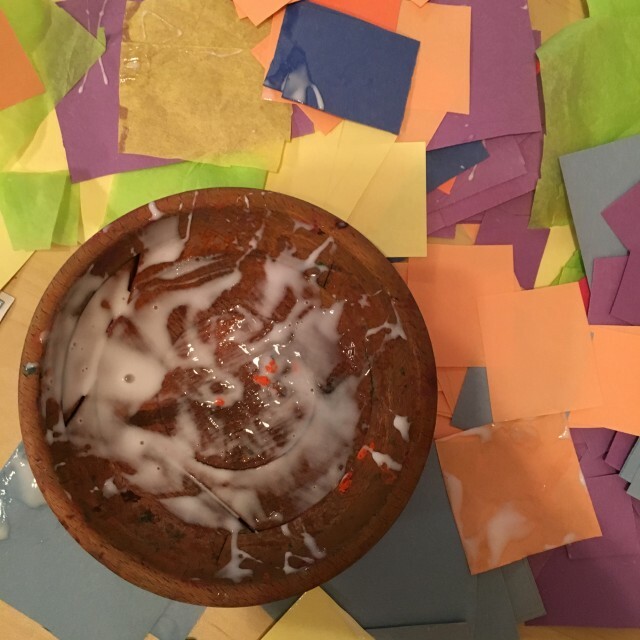 Still feeling my way around the Reggio style of teaching . This is the time of year that we begin to see what the majority of the littles are interested in. We listen to their questions. We pay attention to their ” work” with thoughts on what our next step is. 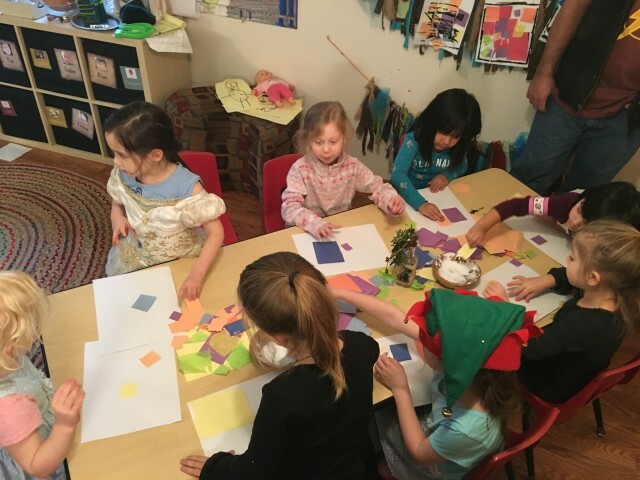 With the exception of two or three kiddos our group LOVES art. They are actually quite good at it. Most of their art is free choice and it is really cool and creative. I have been seeing some different ” styles ” emerge in the art area. Some of the children have been cutting materials and glueing them on paper. (Mixed media ) A couple of the kids are making amazing masks that can be lifted up and there are eyes underneath. AMAZING for this age group. THIS is the special stuff you get when you don’t get wrapped up in making sure a child can write his name on a stupid dotted line at 4 years old. 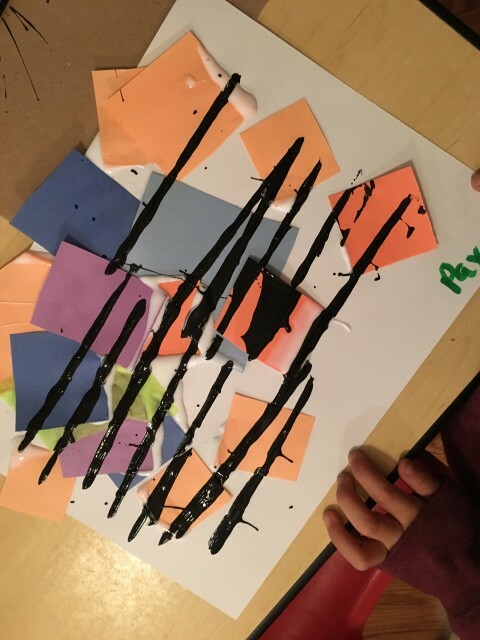 For learning possibilities the next few weeks I thought we would look deeper into real artist , how they create art and include many different art mediums and see if there is one the kids seem to be particularly interested in. 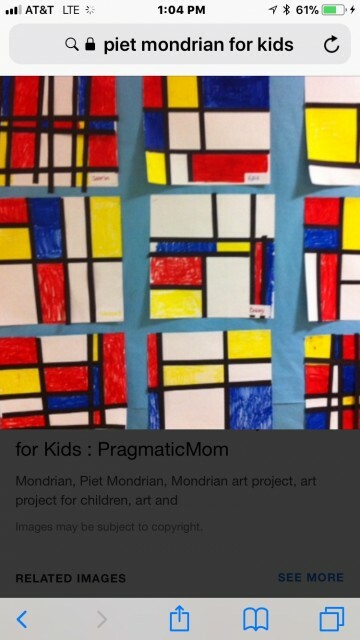 Today we looked at Piet Mondrian and the abstract painting that he is famous for. One of the things we try to do within our normal activities is to introduce higher level vocabulary. 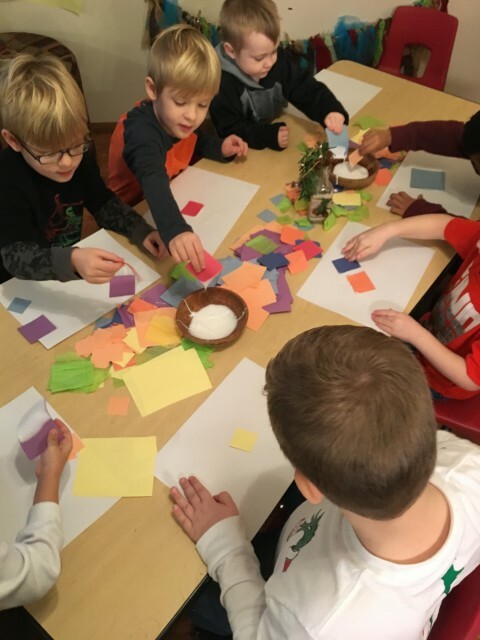 Today they heard words like vertical and horizontal and abstract. We talked about what an artist is . This is what we ended up with. We didn’t paint our shapes on we used cut out squares and made a collage .